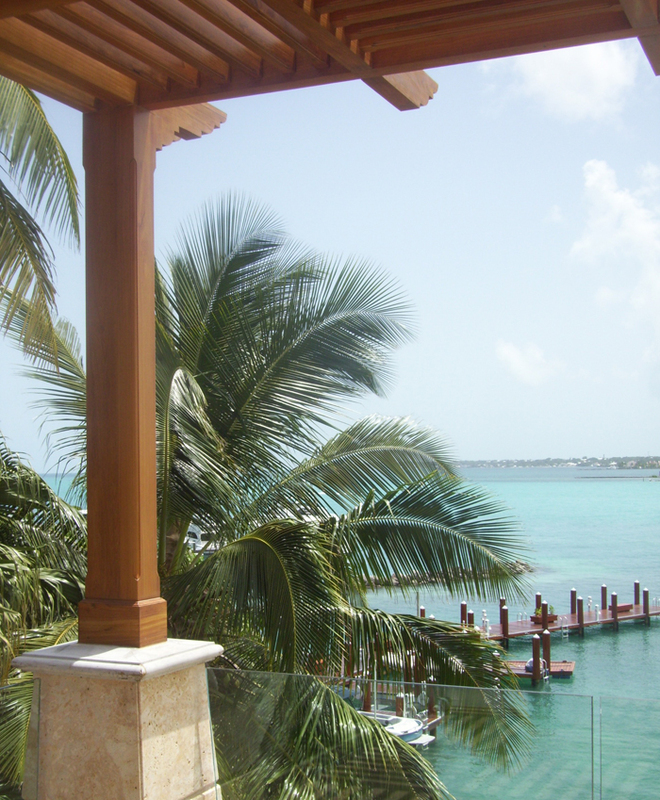 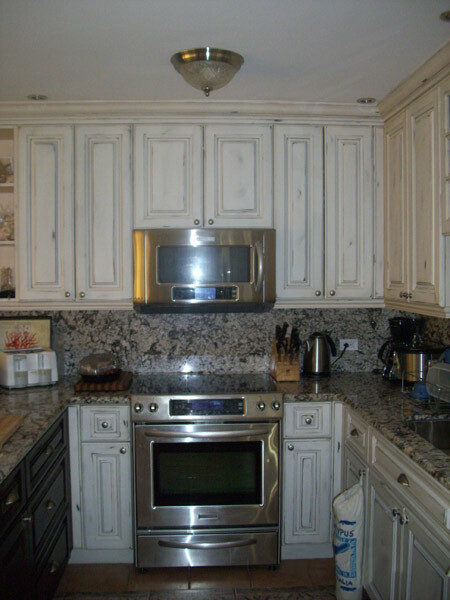 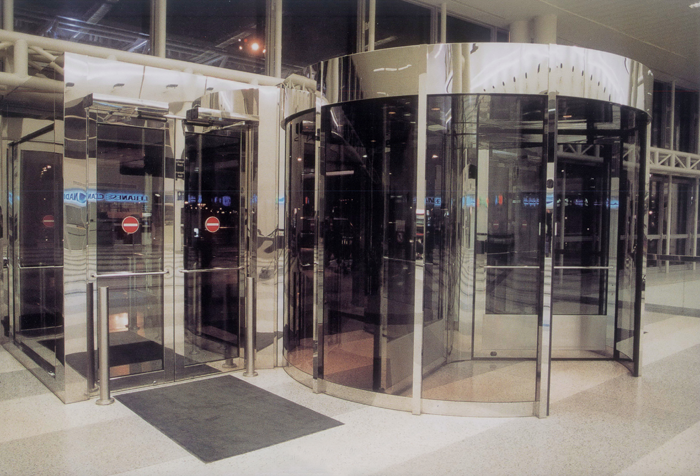 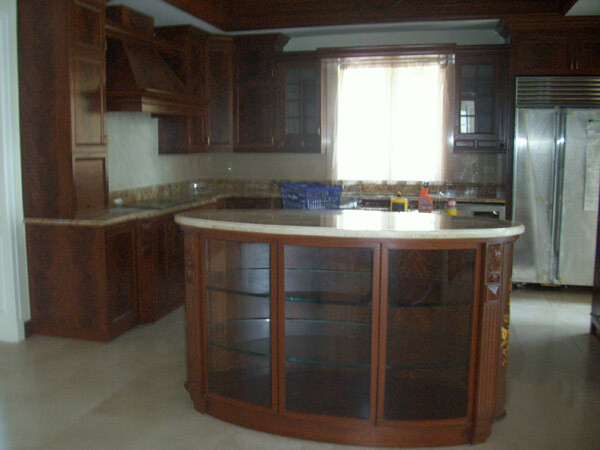 This extensive project was designed in polished #8 mirror stainless steel finish. 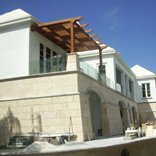 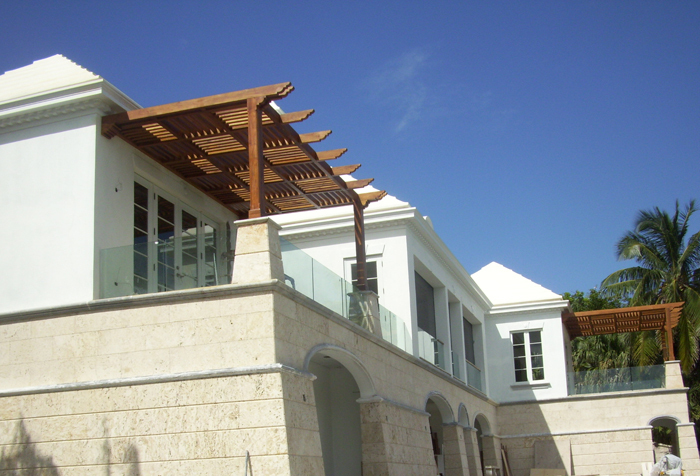 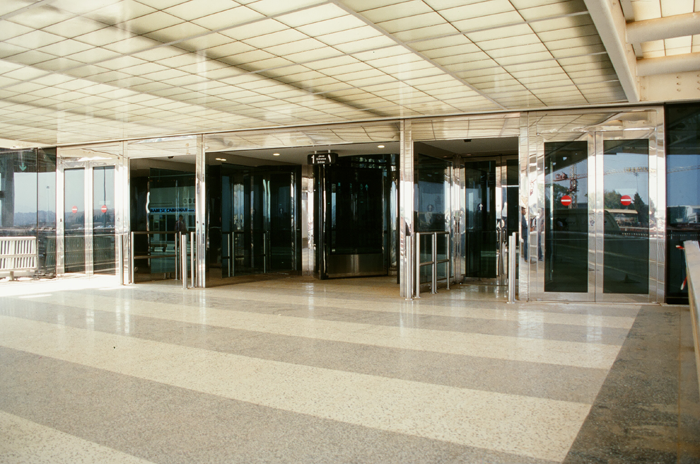 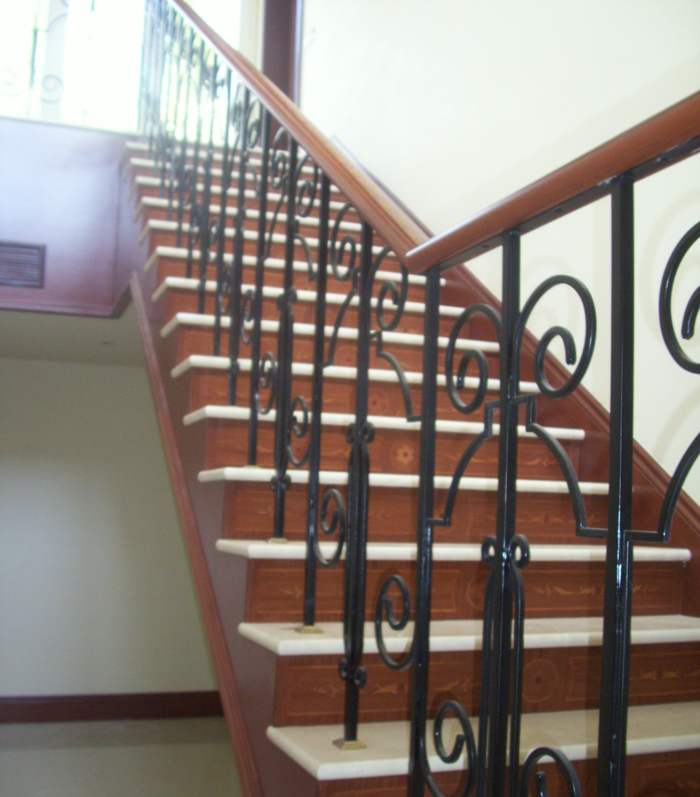 All railings, doors and cladding therefore needed to be manufactured with extreme precision to avoid any visual defect. 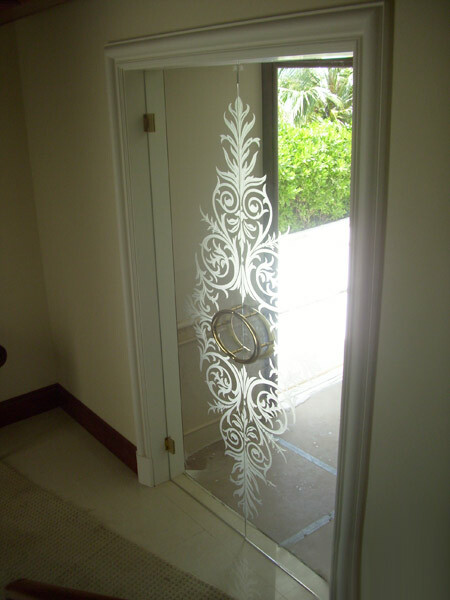 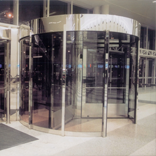 The result are very aesthetic and functional stainless steel items, engineered, manufactured and installed by Elcir. 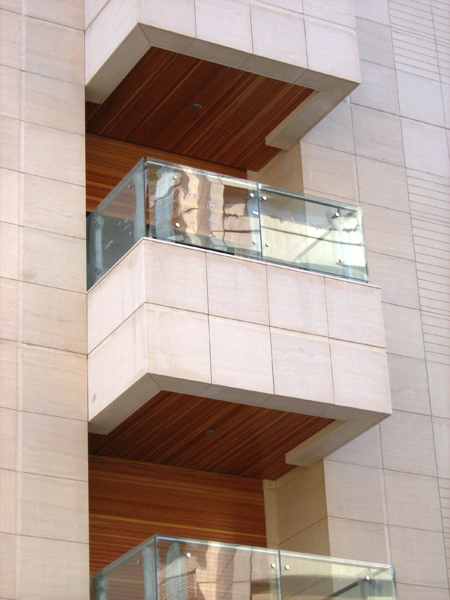 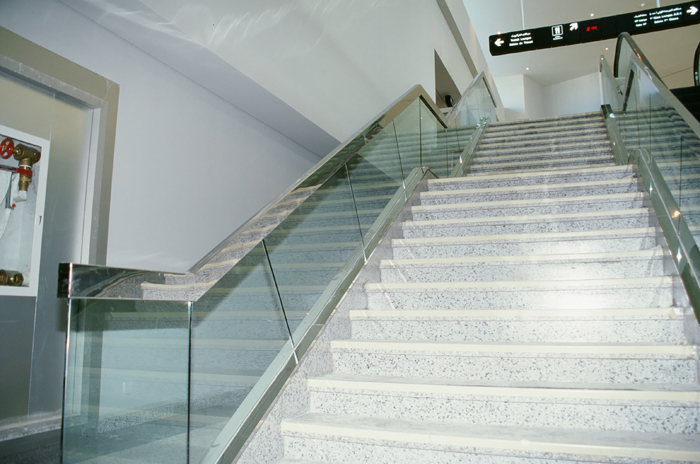 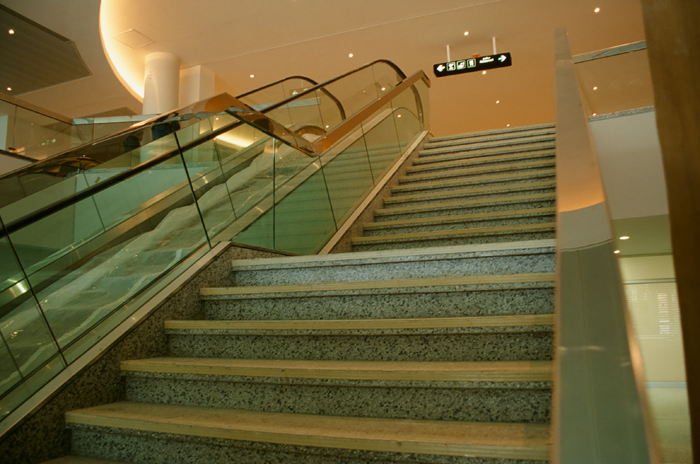 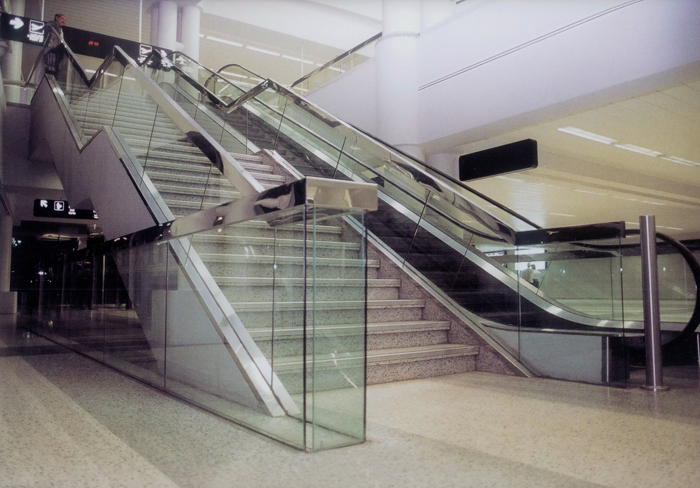 Tempered glazed railings also succeeded impact tests performed by Socotec. 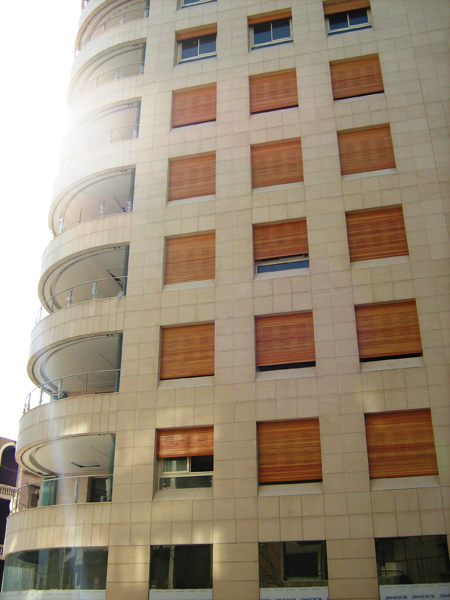 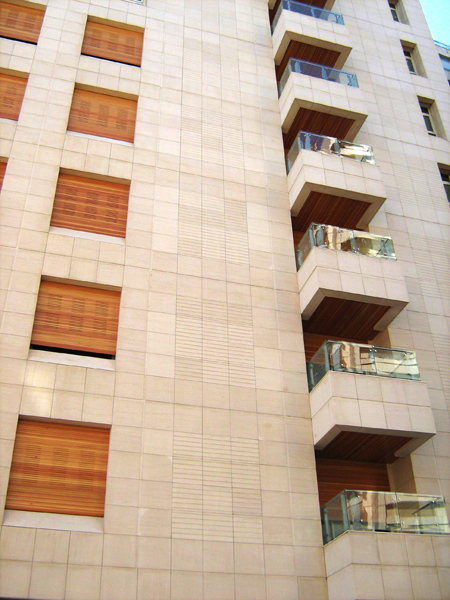 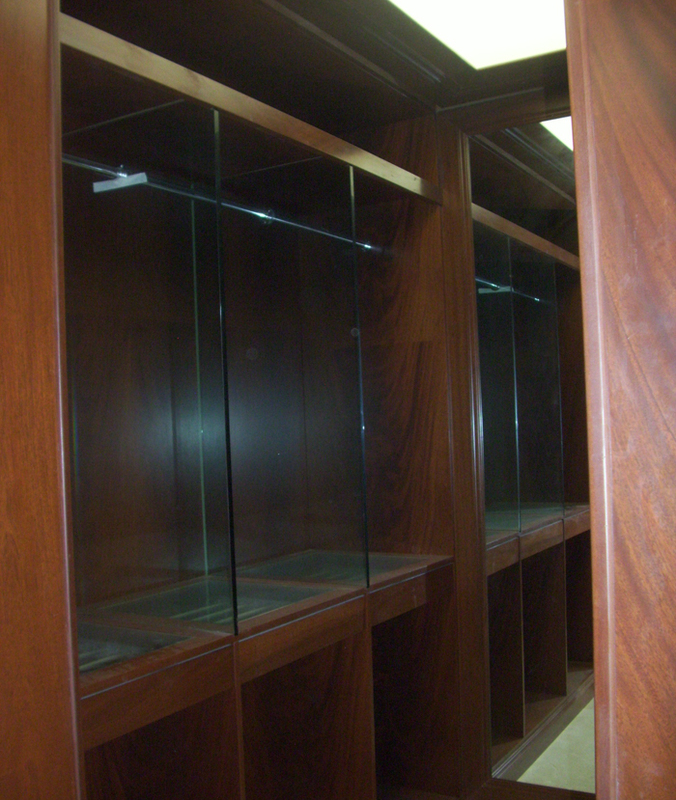 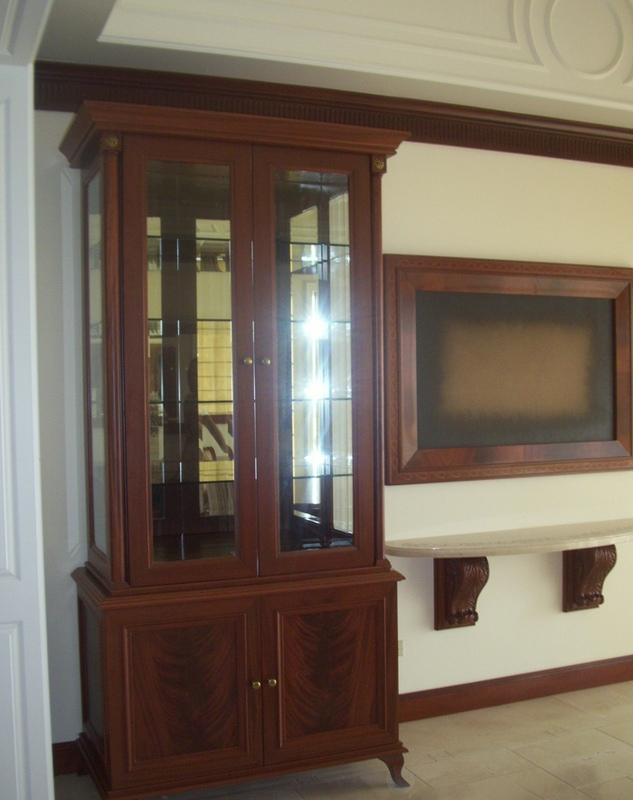 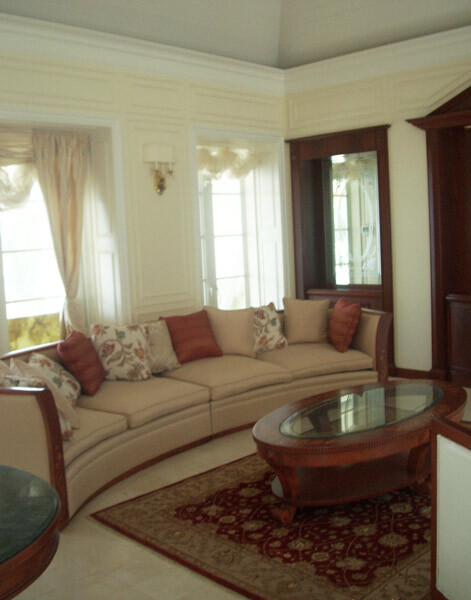 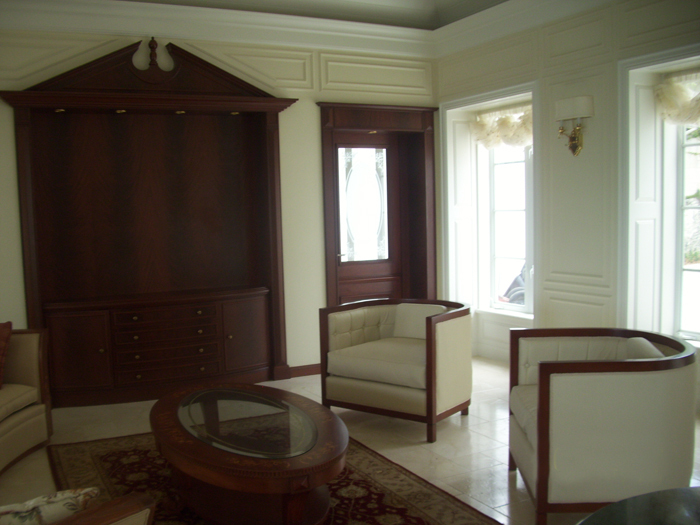 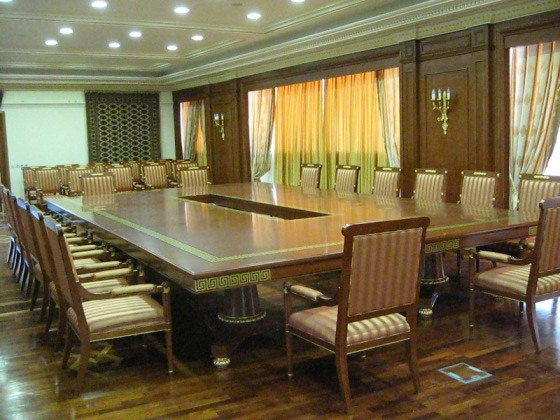 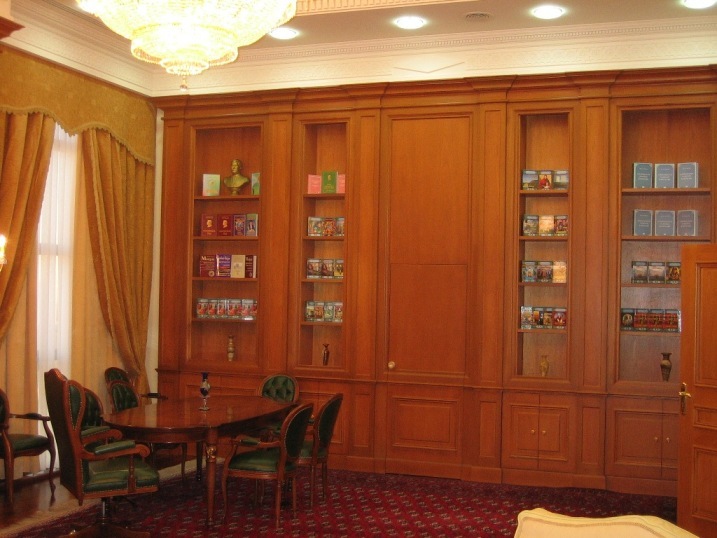 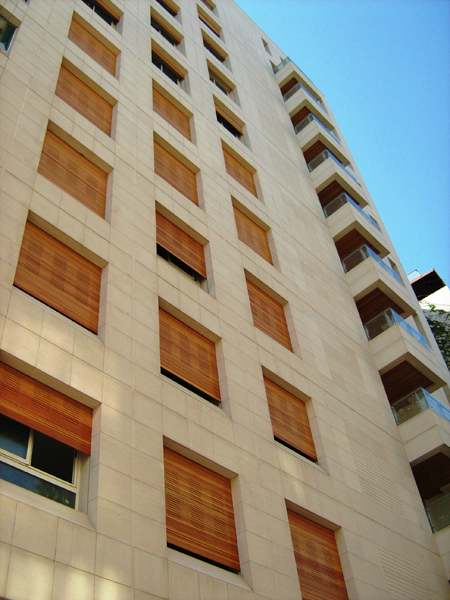 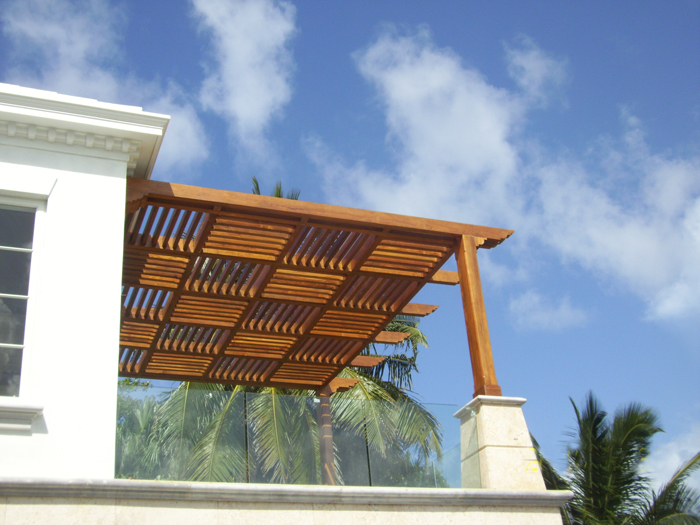 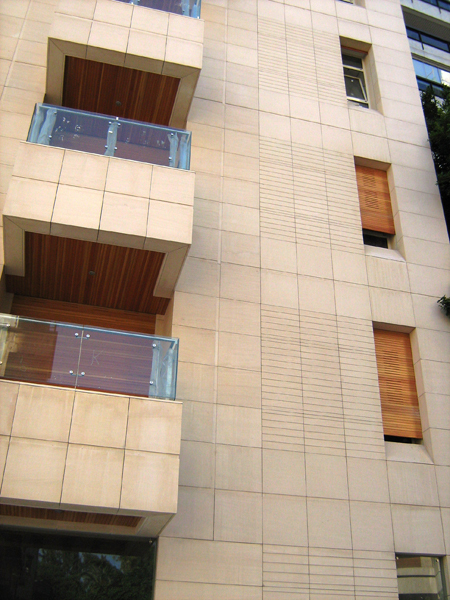 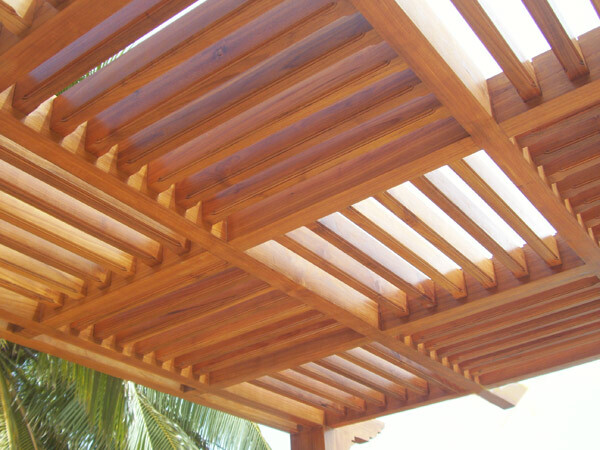 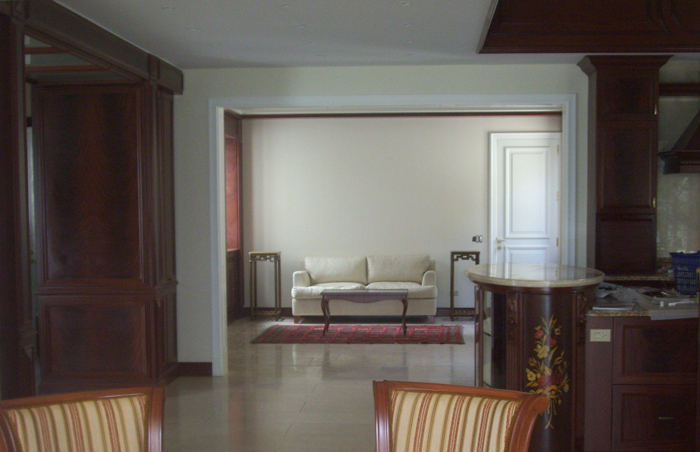 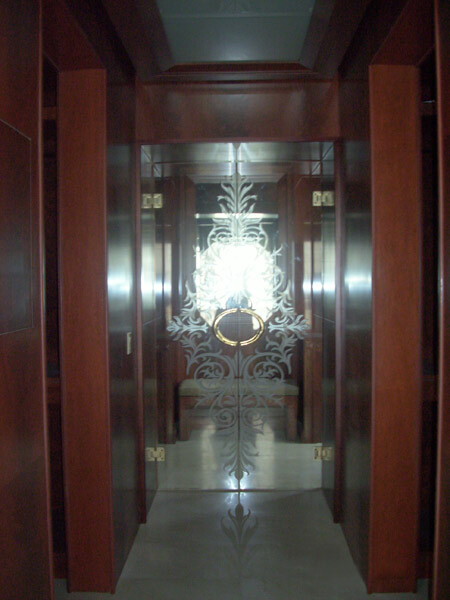 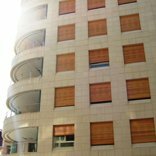 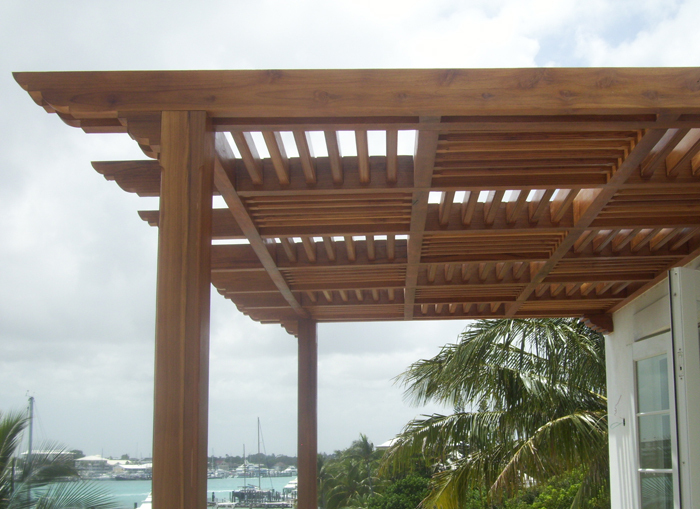 Elcir supplied and installed all wood works for the President's level within the Ministry of Foreign Affairs. 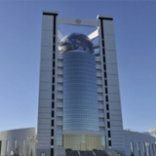 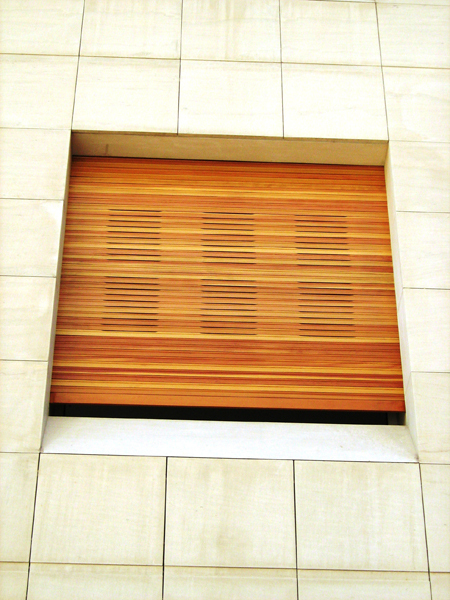 It includes carved pilasters, bookcases, gold leaf ornamental doors, wood paneling, This very special project , ornated with a 4 storey high world globe is a very visible landmark in Ashgabad, This project is one of fifteen prestigious presidential projects where Elcir was selected by French construction giant Bouygues in Turkmenistan.